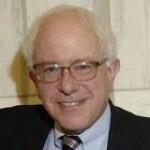 The SIPA | FEELING THE BERN OR GETTING BURNED? The recent announcement that the Democratic National Convention was a rigged race from the moment it started comes as no surprise to anyone who has followed the Clinton’s over the last three decades. Wiki Leaks released over 20,000 emails in which the head of the DNC openly communicates her distaste for Bernie Sanders and even sent communications to the mass media outlets to attack him on numerous fronts, including Anti-Semitic rhetoric aimed directly at his faith. Over the last 48 hours, Bernie had ample opportunity to demand answers, compensation and at the very least open the dialog for a contested convention floor. However, Bernie lowered his head, blamed the top 1 percent and coiled up in the fetal position and got behind the embattled establishment and basically was spanked. As you know, we always look at things from a money trail perspective and tell our followers over and over: FOLLOW THE MONEY! Perhaps the Feds at the FBI should be taking a closer look at what Bernie Sanders just did? Was this nothing more than a classic penny stock pump and dump? The Bern was fueled by political donations exceeding over 250 million dollars over the last year. According to documents provided by law, almost 60% (or 150 Million dollars) was raised by donations of $200.00 dollars or less, so the small time donor was the target, along with college kids and retirees. The money raised was used on staff salaries, air travel, event rentals and digital advertising on social media. Despite learning of this rigged primary, Bernie decided to just fold his tent down instead of fighting for what investors put into his campaign. In the Brokerage world, we call this a Chinese shell company in which investors fly to Beijing, see a bustling factory with dozens of employees manufacturing fake Gucci bags and American investors come up with millions of dollars to fund the expansion but in a year or so the factory is shuttered, the stock is halted and the CEO and CFO disappear into Tibet. In a similar way, Bernie and his legions rode high on the hog, pretended to be running a real organization and used investor money only to suddenly close the operation. Each day the Securities and Exchange Commission (SEC) releases litigation reports against dozens of companies for misappropriation of investor funds. In almost all the cases, the CEO of the company raised money for a widget or technology gadget. He decided to pay himself a handsome salary, traveled at the expense of the company and used the investor money to live the good life with expensive food and lodging. Then when they realize they are not producing anything of real value the stock declines to the point where it’s no longer worth it and the inevitable stock halt takes place and the company is then shuttered. Call me crazy, but I think Bernie just did the same thing to millions of Americans and is now just shuttering the operation to cover up the tracks. As the CEO of the Bernie 2016 campaign, did he not have an obligation to demand an investigation into this fixed market? He had the fiduciary responsibility of over 250 million dollars raised mostly from the lower middle class and his response is “Go Hillary”?? He took to the stage last night and said nothing about the rigged market that he was competing in. If Bernie 2016 was traded on the NASDAQ, the stock would be halted and he would be removed in handcuffs for perpetuating a 250 million dollar fraud and being complicit in a fixed market. However disappointing this is, we do however appreciate the fact that Bernie was there for over a year to show everybody exactly how the corrupt side of Wall Street works. He was a low priced, pump and dump stock and he played millions for fools, all while telling his minions how corrupt Wall Street is. This is precisely how many of the penny stock companies work. You keep raising money, giving hope, selling the dream and get fanatical people to buy into the company long enough to make a killing for yourself. Nice work Bernie Sanders! It truly was an ingenious plan he just concocted: Criticize Goldman Sachs and Merrill Lynch while at the same time operating a pump and dump OTC penny stock. Coming soon: Julian Assange and Wiki Leaks : Can they Hack FINRA/SEC? ← The Insanity Must End!